Created for the Gin Palace, NYC. With an antique filament bulb on the bottom and a moving gas flame bulb on the top, the 221B is a dramatic choice for indoor or outdoor lanterns. Shown here in matte warm gray, black and satin brass. 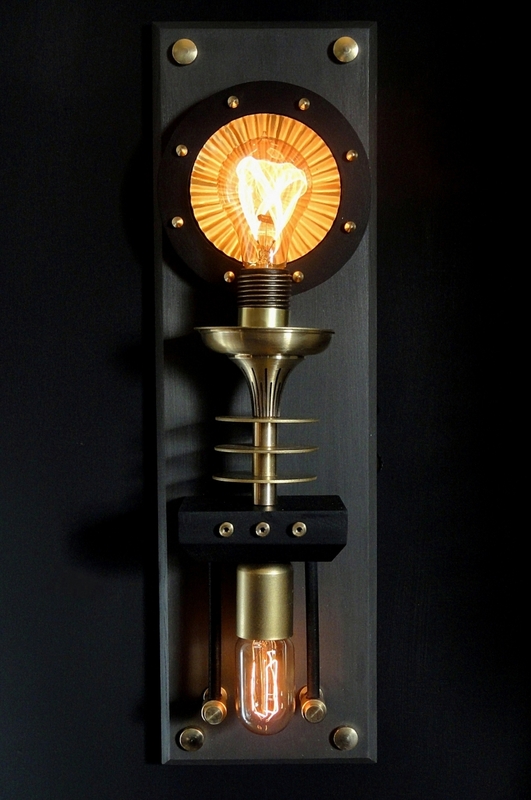 The gas flame bulb has a polished concave disk to reflect the moving filament- which is a very effective, visual alternative to a historical gas flame lamp.